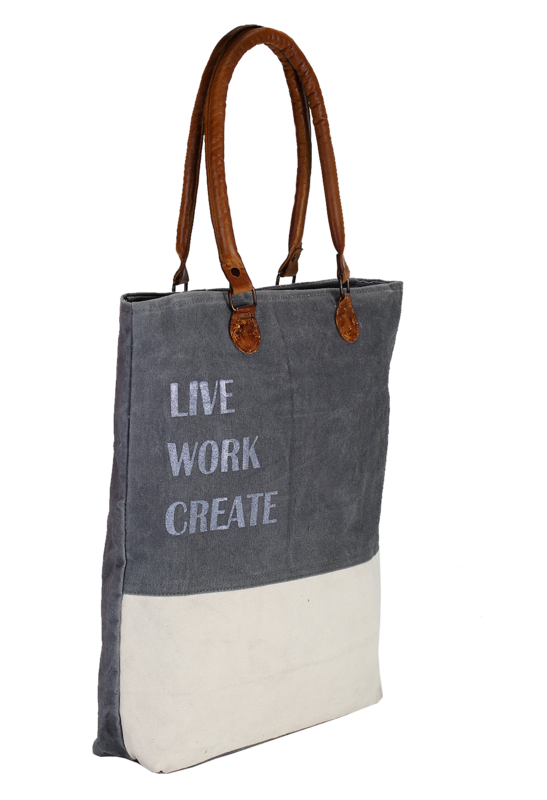 A unique contrast of grey and white makes this cotton bag very appealing and spectacular. 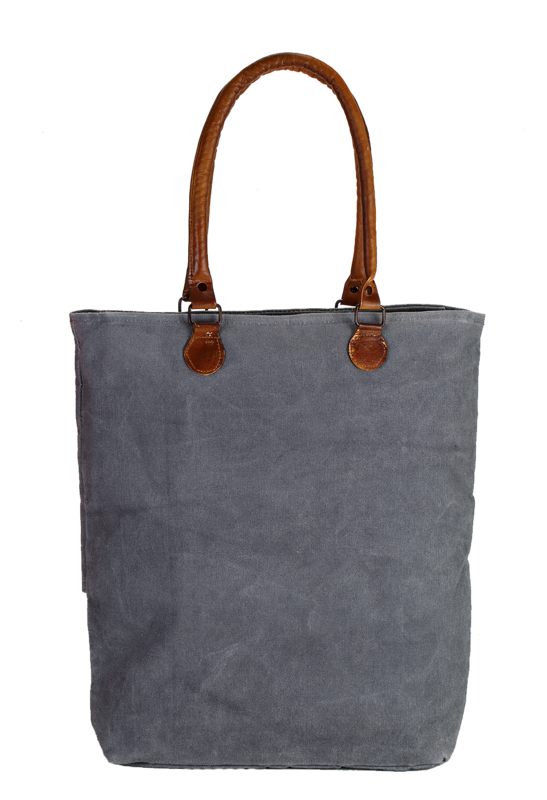 You can use this bag both as a shoulder bag and handbag with its comfy leather handles. 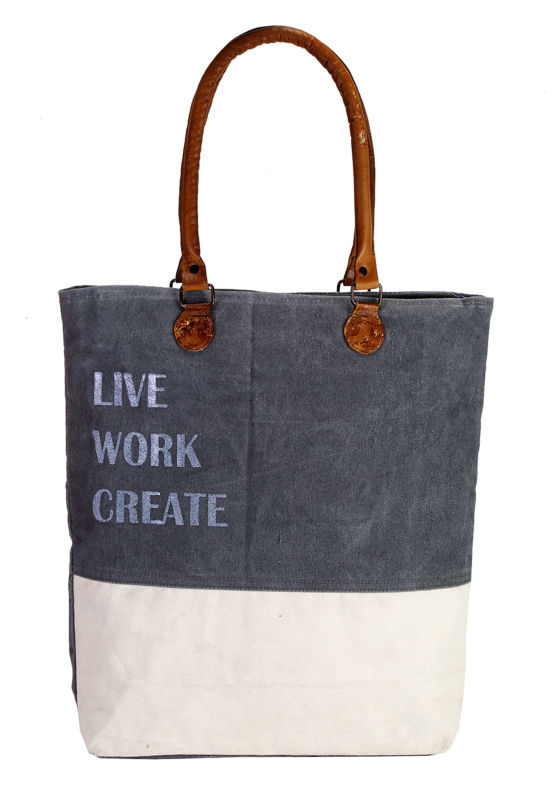 Its size is about 44 cm height, 42 cm width and 8 cm depth, that make good room and at the same time keeps the grandeur of the bag intact. Further, the words on the top of the product escalated the beauty of the product.